When you consider all the details involved in growing your business or not-for-profit, it’s no wonder you rely on professional CPA services to guide you through the complexity of various financial operations and procedures. 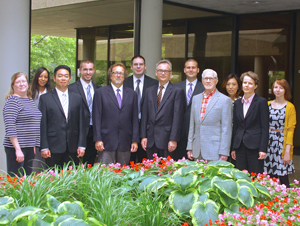 The staff of the Chicago area accounting firm, Graff, Ballauer & Blanski, CPAs, Northfield, IL. As one of the premier accountancies serving Chicago and the Midwest, Graff, Ballauer & Blanski provides a highly trained professional staff to work with you. 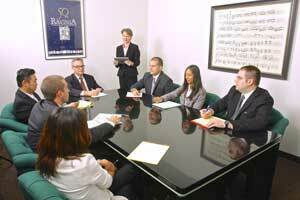 Staff of Graff, Ballauer & Blanski, P.C., CPA firm in Chicago. Our professional experience reflects a strong understanding of the Internal Revenue Service, Illinois Department of Revenue, U.S. Department of Labor, Illinois Department of Financial Institutions, and other Federal District Courts. We also have experience testifying on behalf of our clients in Illinois Circuit Courts, the Illinois Commerce Commission and at arbitration hearings. Harvey concentrates his efforts on financial statements and bookkeeping through his tax and audit work for the firm. He has been with the firm for thirty years and has worked closely on not-for-profit accounts and has expertise in political account filings. Harvey is a graduate of DePaul University with a B.S. in Accounting. He is a member of the Illinois CPA Society. Alex manages audits, while also lending assistance on the tax side. He graduated from the University of Illinois at Chicago with a B.S. in Accounting. Alex is a member of the Illinois CPA Society, the American Institute of Certified Public Accountants, the International Foundation of Employee Benefits and the Association of Certified Fraud Examiners. A graduate of Eastern Illinois University with a B.S. in Accounting, Bridget serves as a staff accountant for the firm, devoting her time to tax and audit services. Bridget is also a Certified Quickbooks Advisor. She first joined the firm as an intern. A graduate of Eastern Illinois University with a M.B.A. in Accounting, Michael serves as a staff accountant for the firm, devoting his time to tax and audit services. He is a member of the Illinois CPA Society and the American Institute of Certified Public Accountants. A graduate of University of Illinois with a M.S.A. in Accounting, Alina serves as a staff accountant for the firm, devoting her time to tax and audit services. Alina is also a Certified Quickbooks Advisor. A graduate of University of Illinois with a B.S. in Accounting, Christopher serves as a staff accountant for the firm, devoting his time to tax and audit services. A graduate of Eastern Illinois University with a B.S. in Accounting, Patrick serves as a staff accountant for the firm, devoting his time to tax and audit services. A graduate of Northeastern Illinois University with a Master of Science in Accounting and a Bachelor in Mathematics, Sylvia serves as a staff accountant for the firm, devoting her time to tax and audit services. Sylvia has worked in Public Accounting since 2009. Kathryn has over 25 years of bookkeeping experience and holds an AAS in Accounting. She is proficient in both QuickBooks Pro and QuickBooks Online, for clients that would like to take advantage of cloud technology. Her ability to transition from one client to another both onsite and remotely, can help streamline the accounting process.